Hello my fellow cocktail lovers! It is that time of the week again for me to share a wonderful “adult” beverage with you. I am trying very hard to find you new and exciting drinks to try. I mean just talking about wine isn’t enough, although I will share with you that my favorite white wine is Santa Margherita Pinot Grigio. I found that wine about 6 years ago and have yet to find another I enjoy as much within that price range. So you know that I used that wine in this drink. I love the summertime when it comes to cocktails! Seriously, summertime is just party time right? In the winter, other than the holidays, the only things I want to drink are warm and comforting (except for wine but I am an admitted wino). 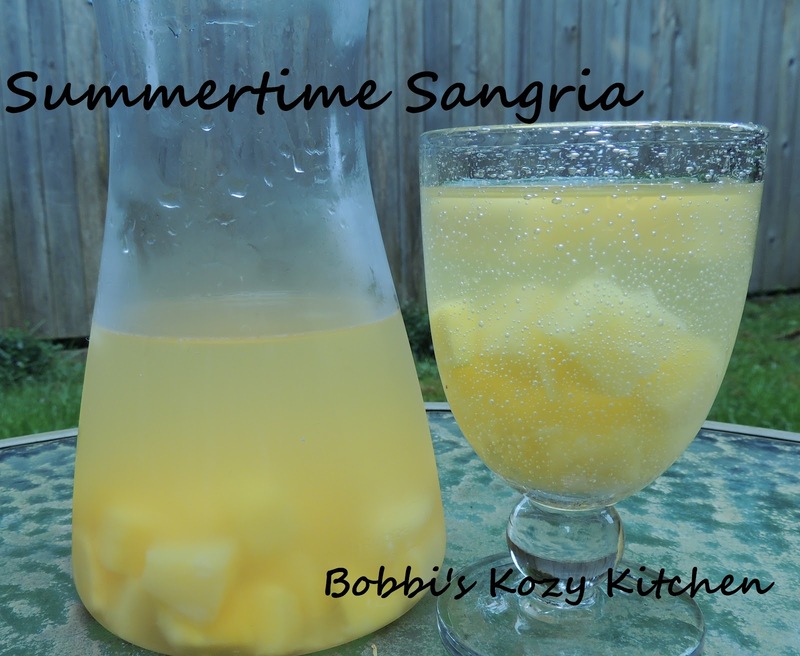 I found this sangria on Averie Cooks and instantly fell in love with the ingredients. I changed it up a bit, but I will give you the original recipe with notes on what I changed. Mostly the changes all depend on your personal preferences, it would taste good either way in my opinion. If you love mango, pineapple, peach, and white wine, I think you will love this. 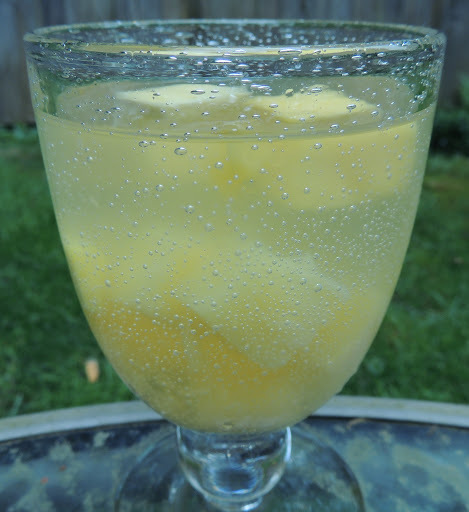 Plus it is so refreshing, it is just perfect for time outside in the summer sunshine! Combine the first 3 ingredients and stir until sugar dissolves (if you are using). Add the rest of the ingredients and stir. Store in the refrigerator. It is best to allow the flavors to develop for 8 to 12 hours if time allows (but of you are impatient like me it is still good after 1 hour). Sangria will store in the fridge for up to 1 week.